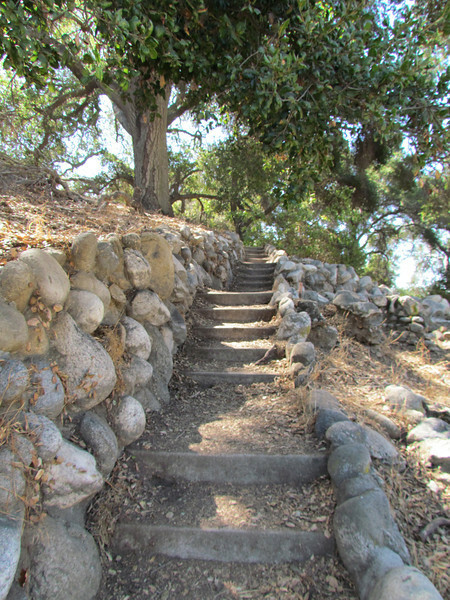 The stairs may be remnants of some old Pasadena history: The arroyo and hillsides just north of here were once home to the grand beer magnate Adolphus Busch, and the first Busch Gardens. This was an elaborate wonderland of fountains, streams and glades, designed in 1905 and, though privately owned, open to the public. The gardens were not the theme-park scale efforts that followed in later years, but they were lush enough to double for Sherwood Forest in the Errol Flynn action film "The Adventures of Robin Hood" in 1938 — the same year the gardens were closed.